This is a spell for weight loss. You can’t lose weight simple by using this spell. You have to change your eating habits and include exercise if you really are aiming to succeed in your weight loss goals. This spell is perfect if you are just beginning your weight loss journey and for those of you who need a boost in motivation. This spell should be done during the waning moon. Anoint the candles with the blessing oil and spend some time charging them with your intention. 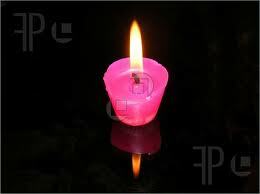 Using something to carve with, engrave your current weight onto the pink candle. On the orange candle engrave the candle with your weight goal (I would suggest starting small – less 10 pounds or so). Engrave the rune for beauty on both candles and find a place to engrave your name on both candles. Cast your circle as you would normally and light your incense first. Then light the pink and orange candles. If you have a picture of yourself, place it in the center of the candles. This should be a picture of you are your current weight. For those of you with digital cameras I would suggest you take a picture and print it out. As I will it so mote it be! I would suggest you do spend some time every morning saying this chant to yourself for at least 5 minutes. Go from that and immediately do your morning workout. Even if it’s walking in place for 5 minutes! I lost 50 pounds. I began with walking in place for 15 minute a day (because I couldn’t really do anything else!) and slowly because increasing my walking time. Then I moved into cardio and now I work out every day doing intense cardio for an hour. You can do this and I believe in you!